It struck me yesterday how many of us seem to be suffering losses of different sorts. Whether parents, siblings, pets, friends or colleagues each loss seems very immediate. We tend to feel a certain sense of melancholy when we lose celebrities we don't even know. Their passing represents the loss of a certain time in our lives - times which seem to be ever drifting into the grey mists of our increasingly faulty memories. Maybe we are more aware of each other and our losses, big and small, because of social media. Maybe it's because we are all getting older and the people we know and are closest to are as well. 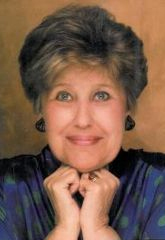 Whatever the reason, I just wanted to share one of my favorite columns that Erma Bombeck wrote. I had forgotten until today how much I love her work. I identify with her. "Nobody ever died from sleeping in an unmade bed." Indeed. We miss you Erma. For all of my association counterparts - maybe we need to take a lesson from Ms. Erma. Please don't sweat the small stuff. I know that executive committee meeting seems like life and death - but it isn't. Cramming our days full of committee meetings, marketing brochures and busywork just isn't going to cut it anymore in the new, hyper-connected society we find ourselves in. If social media causes us to be more aware of the emotional suffering of our family, friends and colleagues we are going to have to create some additional emotional capacity within ourselves to care for others. If we do not, we may find ourselves at best overwhelmed and discouraged or at worst, calloused and withdrawn. If we don't stop this frenetic pace, we will have no time left or room left in our hearts to grieve, to support others who are and also to make sure we are taking care of ourselves. So shut off the email for a while, have a cookie and call someone you love. Think of the things you wish you were doing, and do them. Time spent caring about others and living your life well won't kill you - but your to-do list might. But mostly, given another shot at life, I would seize every minute...look at it and really see it... live it and never give it back. STOP SWEATING THE SMALL STUFF!! !